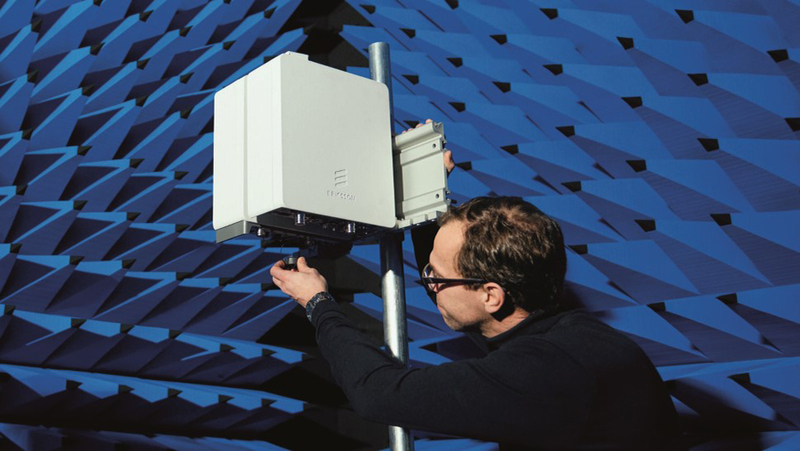 Ericsson and Qualcomm Technologies have achieved a non-standalone (NSA) 5G new radio (NR) data call on 2,6 GHz, adding a new frequency band to those successfully tested for commercial deployment. The bi-directional downlink and uplink data call was made at the Ericsson Lab in Kista, Sweden on 20 December 2018. It brings a new sub-6 frequency band one step closer to commercial rollout. This latest interoperability development testing (IoDT) data call is compliant with the 3GPP Rel-15 “early drop” specification that was frozen in March 2018 but further stabilised in September, and which is the basis for commercial launches expected in the first half of 2019. The lab demonstration used Ericsson’s commercially available 5G hardware (including its 5G NR radio AIR 6488 and RAN Compute products), together with Qualcomm Technologies’ mobile smartphone form-factor test device (powered by the Snapdragon X50 5G modem and antenna modules with integrated RF transceiver, RF front-end and antenna elements). Qualcomm Technologies and Ericsson completed similar IoDTs on 28 GHz and 39 GHz millimeter wave bands, as well as on 3,5 GHz band based on the September specifications.